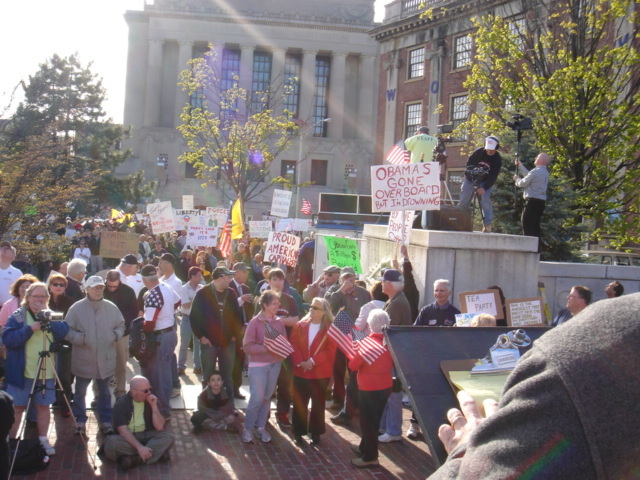 Eight years ago, the Tea Party movement began, supposedly sparked by a ranting CNBC reporter. Unlike the protests that occurred this month around the inauguration of Donald Trump, those rallies began more than a month into President Obama’s term. It took until September before the first large rally occupied Washington, D.C.
Times have changed though, and power has shifted. For many, hopes are flying high. For others, fear grips them. I have a hard time understanding those who are frozen by fear of the Trump Presidency, but I do not doubt that their fear is real. The marches against Trump were planned well before he held any power, yet organizers were able to mobilize millions of protesters across the country. 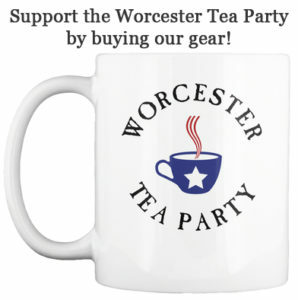 As a veteran of the Tea Party movement, I say “kudos” to them. They are doing what Americans should do when they peaceably to assemble, and petition the Government for a redress of grievances. I think that one thing that has created fear on the left is the decimation that they have suffered at the polls over the past eight years. They thought that they would be the rightful masters of Congress and the courts indefinitely. They are not. The incredible shift from an electorate that elected the most leftist President in our history, to one who promises to undo that President’s legacy, is something for the history books. The left does have reason to fear a Trump Presidency, not because he is an evil man, but because after 8 years of perverting the Constitution, things are going to change. I have my doubts about President Trump’s concern for the Constitution. He never mentions it. Some of his ideas seem contrary to the limits of the Constitution. Until the power of the Presidency is rightfully diminished, we’ll have to cling to the hope that he is serious about shrinking the power of Washington, D.C. He’s gone outside the box in his cabinet appointments. The coastal elites are apoplectic about some of these appointments, but their fossilized idea of government has been rejected by the American voters. This is the biggest hope for the Trump Presidency, that it is a transformational era, where new ideas are allowed to flourish, while the stagnant failed model of the New Deal, Progressivism, and “wars” on everything are once and for all declared dead. We will forever have leaders who seek to pervert the Constitution. Regardless of who is living in the White House, vigilance is a virtue always required of the patriot. The task of the Tea Party is no lighter than when Barack Obama was President. When we started this movement, I said that this is a decades long task. Our problem is not with the leaders who pervert the Constitution, but with the voters who elect them. These are the minds that we must win over. This is your task. Instead of badmouthing the left, we should talk about the power of the model that our founders gifted to us. By creating more lovers of the Constitution, we can ensure that the road to real liberty is always open. ← From Here On Out.